Special Ticketed event. Order on-line to secure your seat! Lite Refreshments! 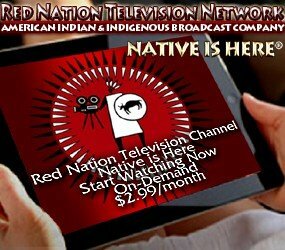 Schedule: please check back closer to Indian Market days for special guest announcements. Red Nation kicks off with the celebration of the legacy of Red Nation Celebration Institute and what that has meant to Indian Market and the entertainment Industry, since 1995. Retrospective ‘The Girl Called Hatter Fox’ Celebrating 40th Anniversary! 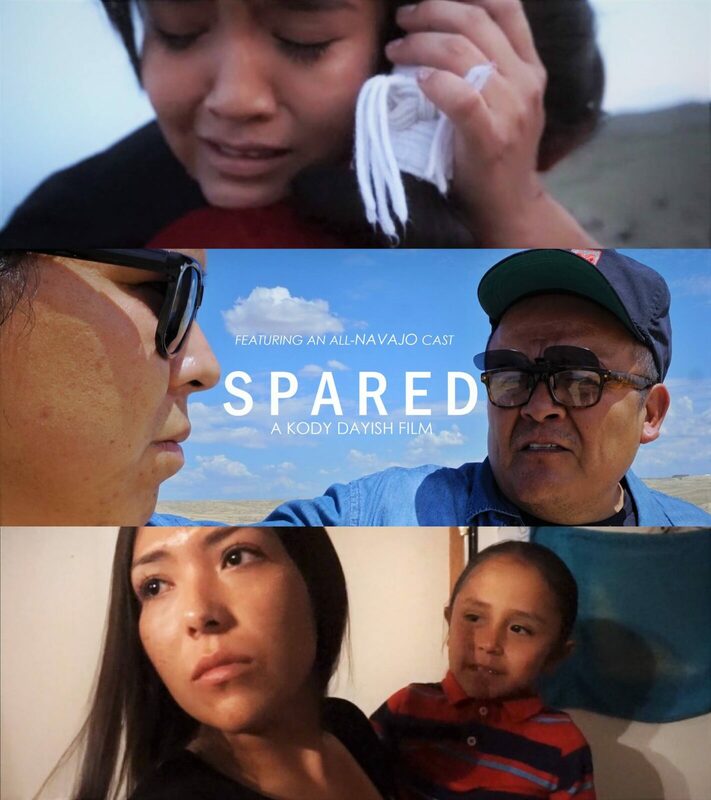 The first Contemporary American Indian woman story produced. 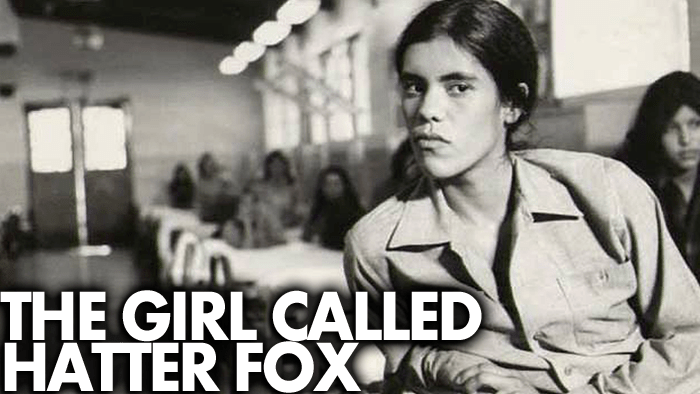 “The Girl Called Hatter Fox” this film marks the first time a Native actress carried a leading role in a contemporary movie. 1977 Movie of the Week C.B.S. Filmed in Santa Fe & Albuquerque. 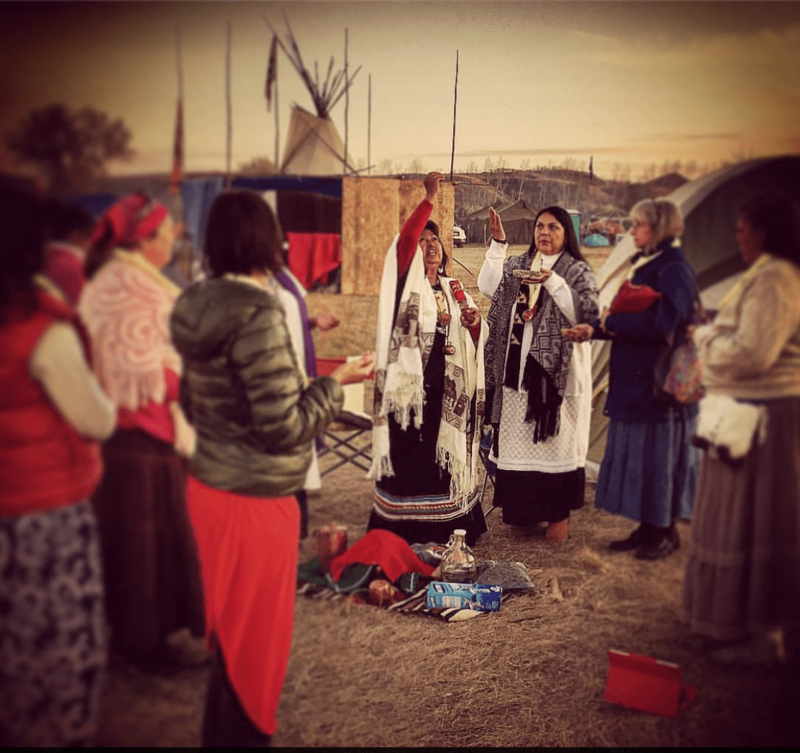 “End of the Line: The Women of Standing Rock” Award-winning director Shannon Kring. The ancestors warned against the “Black Snake” that would come to poison Mother Earth. 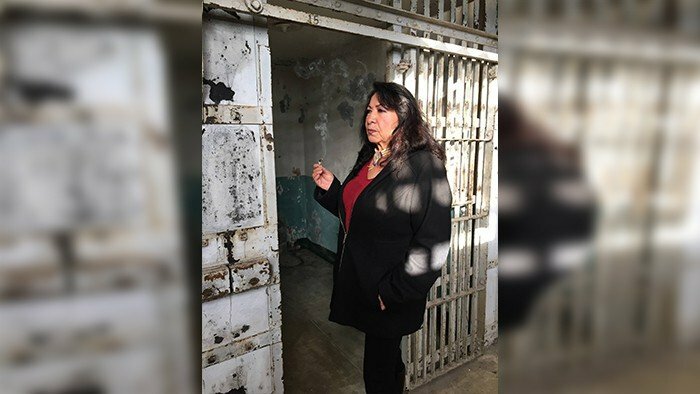 From acclaimed documentary filmmaker Shannon Kring comes END OF THE LINE, the incredible story of a group of indigenous women willing to risk their lives to stop the Dakota Access oil pipeline construction that desecrated their ancient burial and prayer sites and threatens their land, water, and very existence. Native Women in Film, Dignitaries, Activists, Humanitarians, Fashion Designers, Scholars and Celebrity special guests join together in a discussion of how Native women are changing the narrative in film-fashion-music-politics-business relations; and how Hollywood and media connects or fails to connect with the Native Women perspective. IN PERSON Joanelle Romero (founder RNCI & RNFF; Academy of Motion Picture Arts & Sciences member), Pearl Means (Author, producer End of the Line: Women of Standing Rock, Native Women in Film Board of Directors), Gayle Anne Kelley (One Bowl Productions, executive producer Spirit Game), Tiffany Tutiakoff (President and CEO at Northwest Strategies/Anchorage, AlaskaMarketing and Advertising), Lanada War Jack (Activist, Narrator Alcatraz: From Rock To Standing Rock), Georgina Lynn Lightning (Actor, Director/Producer Older Than America), Debra Haaland (Laguna Pueblo, Candidate, NM Congressional District 1), Loren Aragon (Acoma Pueblo Fashion Designer) *Special Guests. Lite refreshments and special surprise appearances. 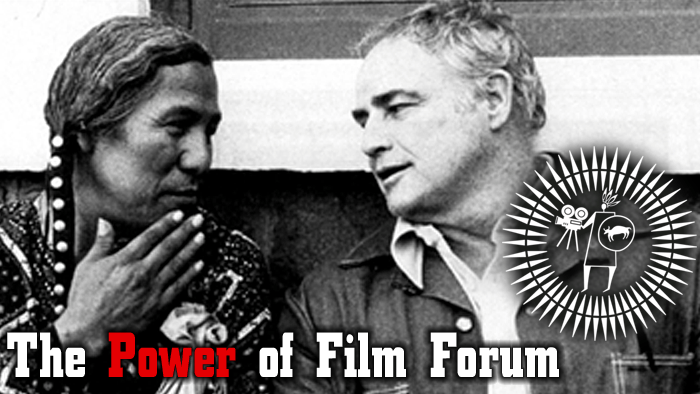 Native Filmmakers, Spiritual Leaders, Dignitaries, Activists, Humanitarians, Musicians and Celebrity special guests join together in a discussion of how The Power of Film, Environment, Science and the Indigenous Voice all connects or does it. The Bigger Picture! IN PERSON: Faith Keeper Oren Lyons (Faithkeeper of the Turtle Clan of the Seneca Nations of the Iroquois Confederacy, Spirit Game) Winona LaDuke (Environmentalist, Economist, Writer, First Daughter & the Black Snake) Joanelle Romero (founder RNCI & RNFF; Actor, Award-winning Director/Producer, AMPAS, Humanitarian) Paulette Jordan (Idaho House of Representatives, Senior Executive Board representative National Indian Gaming Association, Red Nation Celebration Institute Board of Directors) Raina Thiele (Founder & President @ Thiele Strategies LLC; Former Associate Director in the Office of Intergovernmental Affairs at White House; Office of Management and Budget, Executive Office of President Obama) Keri Pickett (Director First Daughter & the Black Snake), Gayle Anne Kelley (One Bowl Productions, executive producer Spirit Game), Peter Spirer (Co-Director Spirit Game), *Special Guests. Special Ticketed event. Order on-line to secure your seat! One woman’s quest to keep crude oil pipelines out of her Ojibwe communities’ sacred wild rice beds. Environmentalist Winona LaDuke would like to just spend time with her family, grow corn and put up solar panels. But when a new pipeline route threatens her sacred wild rice and Lake Superior, she springs into action defending clean water with treaties, slow food and spiritual horse rides. 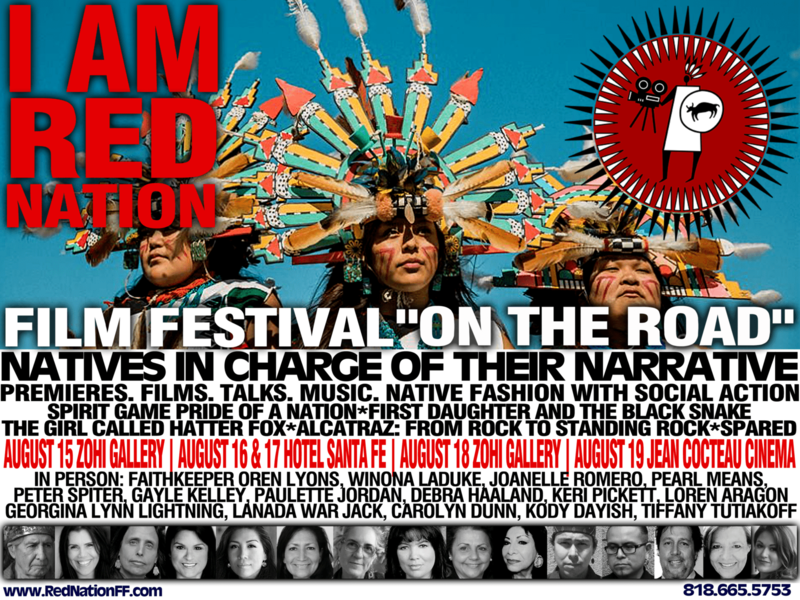 IN PERSON: Winona LaDuke (Environmentalist, Economist, Writer), Keri Pickett (Director), Joanelle Romero (founder RNCI & RNFF; Actor, Award-winning Director/Producer, AMPAS, Humanitarian), Lanada War Jack (Activist, Narrator). 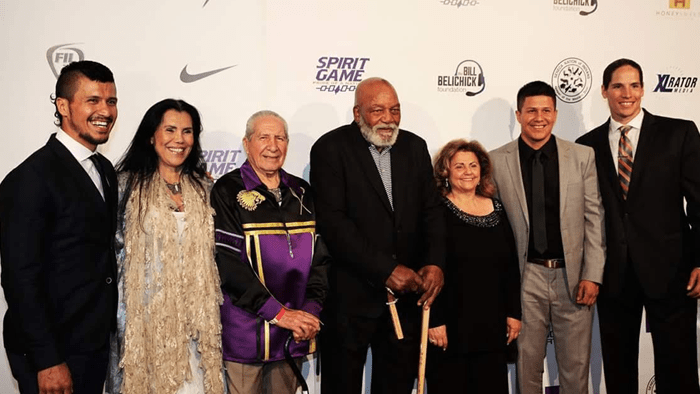 Spirit Game: Pride of a Nation is the best documentary ever done on a Native sport and stands alone in placing a game within the broader context of the fight for Native rights. The producers pull the strands of the story together, weaving family, community, spirituality, sports and politics in a manner never done before by anyone in any media. 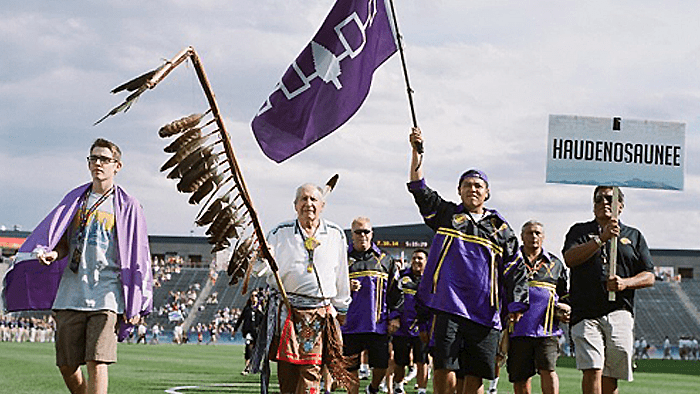 The film sets a high standard for addressing the most compelling issues and concerns of the Iroquois while capturing the spirit of the game. 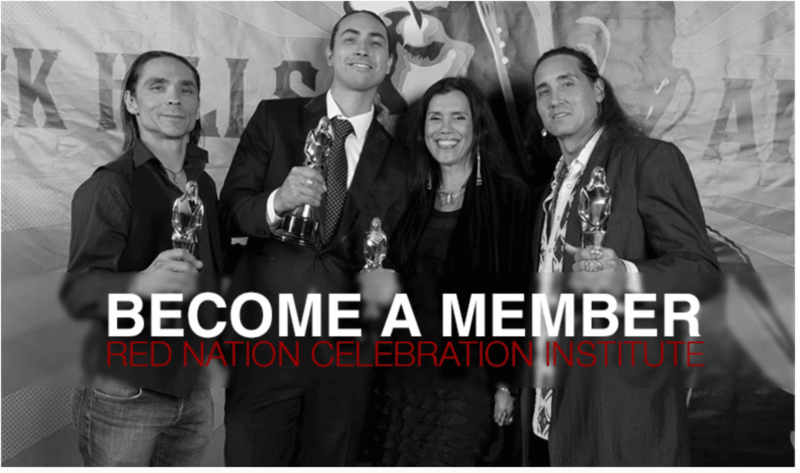 IN PERSON: Faith Keeper Oren Lyons (Faithkeeper of the Turtle Clan of the Seneca Nations of the Iroquois Confederacy, Executive Producer), Peter Spirer (Co-Director) , Gayle Anne Kelly (One Bowl Productions, executive producer), Joanelle Romero (founder RNCI & RNFF; Actor, Award-winning Director/Producer, AMPAS, Humanitarian ), special invited guests to be announced soon! Thank you to all our partners. We can not do this ground-breaking work without your generous support! 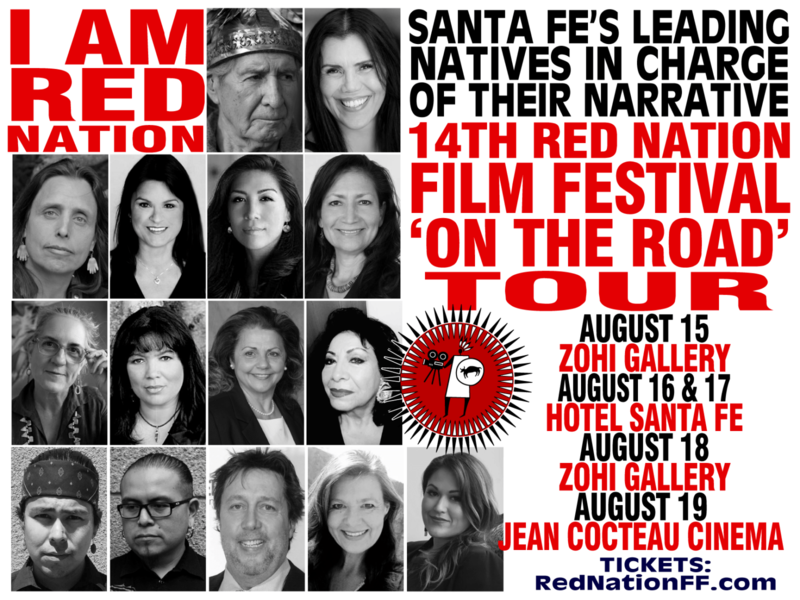 For sponsorship opportunites, questions or additional information on the Red Nation Film Festival ON THE ROAD Tour, please contact Linda Tenequer; rednation@rednation.com or (818) 665.5753.